If you're shopping for life insurance and trying to decide which type of policy may be the right choice, you may be wondering "Who Should Get Term Life Insurance?" Well, if you need protection to replace your income for someone else, you need coverage lasting for up to thirty years, or you are on a budget and need to get the most for your money, term life can help. Many of us living on a budget need to make our money go a long way these days. Whether money is tight or you’re just a frugal shopper, term insurance may be right for you. Cheap – Term life offers you the maximum amount of life insurance for your money. Tax Free Death Benefit – Proceeds are usually paid out free from federal income tax. Living Benefits – You may access a portion of your death benefits while still alive. Easy Access to Quotes – Compare, instant free quotes to find the best prices online in minutes. Renewability – Option of guaranteed renewability for some term life policies. Convertibility – Option to convert term life to permanent life insurance coverage. Flexibility – Choose coverage from options of 10, 15, 20, 25 or 30 years. You don’t want to pass on your financial obligations or funeral costs to your family. You want to supplement your Social Security benefits so your surviving family can maintain their standard of living. You know that life insurance can guarantee a fixed income for a surviving parent who must remain at home to care for children. You have purchased a home and want to make sure it will remain in your family even if you are no longer there to make the monthly mortgage payments. You want to make sure your children have the money to go to college. 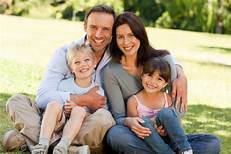 You want to solve the basic needs of financial protection for members of your family. You know that a mother’s death can be as financially devastating as a father’s death. You want to leave financial resources for special reasons: a son or daughter’s wedding, funding your son or daughter’s business, or providing for a disabled child. You spouse is expecting a child. You have become a new parent. You have a new job or received a promotion, which has increased your financial value and ability to afford adequate life insurance protection. You are a recent college graduate starting your own personal financial plan. You are a business owner who needs to protect key employees. Once you realize you have a need for life insurance, it’s important to purchase the right type of coverage. You have two basic options: Term or Permanent coverage. Each has different features and provide for different goals you wish to accomplish. Term insurance is purchased for a specific number of years, usually from one to thirty years. At the end of the term you do not get any money back from the premiums you paid for your policy. But, if you die before the term ends, then your beneficiary will receive the full amount of the death benefit from your policy. The rates for term insurance stay the same for the entire duration of your life insurance, and are much lower than the rate you pay for a permanent life insurance policy. How Long Should the Term Be for Your Term Life Insurance Policy? Generally, the younger you are when you purchase your life insurance, the lower the amount you pay for coverage (premiums), especially because you are less likely to be diagnosed with a serious illness. You can save money by signing up for a longer term, because when you renew your life insurance, it is more likely to be more expensive since you are older and you may not be as healthy or you may be overweight. When you buy term life insurance, generally, you are planning on reaching a point where you will no longer need life insurance protection. Most people have term insurance until they reach retirement age and all of their debt has been paid off. Term life policies may offer coverage for a duration of 10 to 30 years. How Much Term Life Insurance Should I Buy? When you purchase term insurance many experts may suggest purchasing about 7-10 times your annual income. You should have enough to cover your debts and still have a sizable amount left over for your loved ones to invest and then draw interest from to live on. Here’s a term life insurance needs calculator you can use to help you quickly and easily determine how much life insurance you really need for your specific situation. When purchasing your life insurance be sure that you go with a reputable company and that you shop around for the best rate. There is no excuse for not having enough life insurance. Take the steps you need to get coverage today.